Leverage Email Marketing Automation at ease. Grow sales by 30% automatically & save 85% of your time. 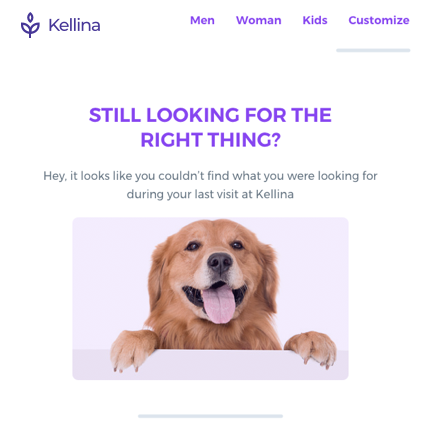 • Boost conversion rate: Follow-up customers with personalized & automated emails based on their behaviors in order to motivate them to make purchase. • Increase customer loyalty: Send recommended products, hottest items of the week, reward coupons to customers. • Increase retention rates: Make slipping-away customers come back and buy again. 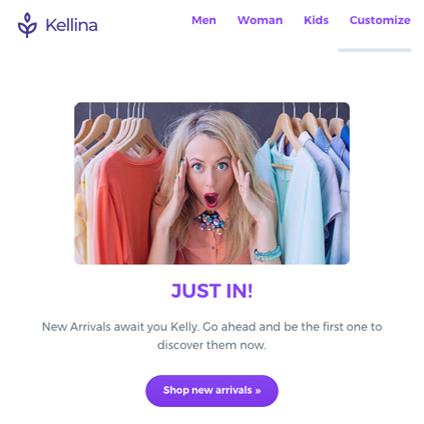 • New Arrivals: After detecting new products on your store, Newsletter Bot will create a New Arrivals campaign & promote them to your customers every week. 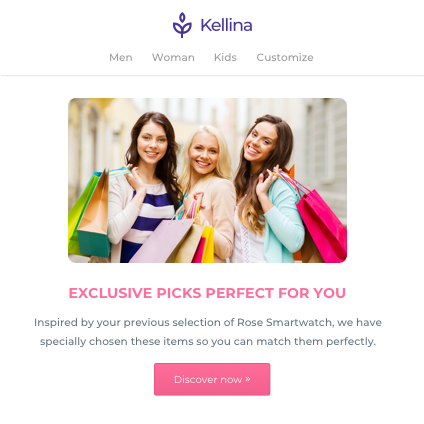 • Site-wide recommendations: By applying smart big data algorithm to understand customer's interest over their purchase as well as your sales history, once a month Newsletter Bot will create a personalized newsletter to recommend each customer products they're most likely to buy. 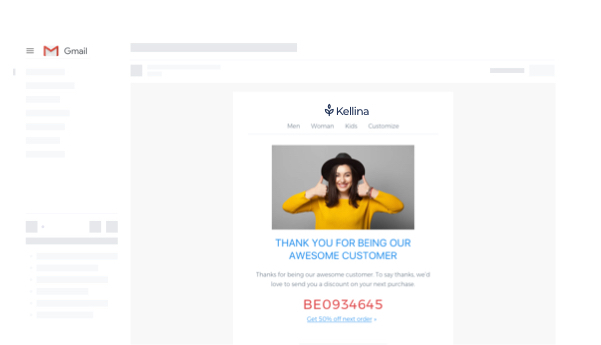 Automation campaigns help you trigger automated personalized emails to unique customers when they perform an action. 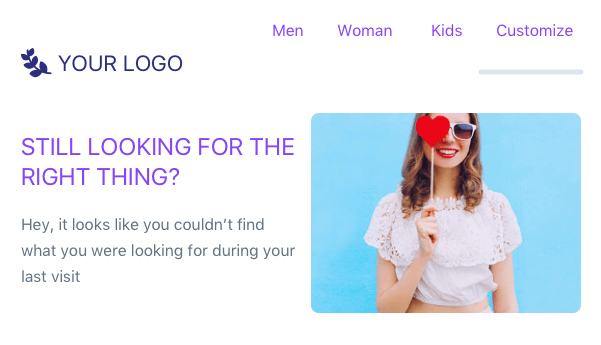 • Happy Email: Happy Email helps to send a thank-you email from YOU to your customers automatically, 30 minutes after they make the first order, or signup for an account on your site. It helps to create a personal touch and gain trust from your customers. 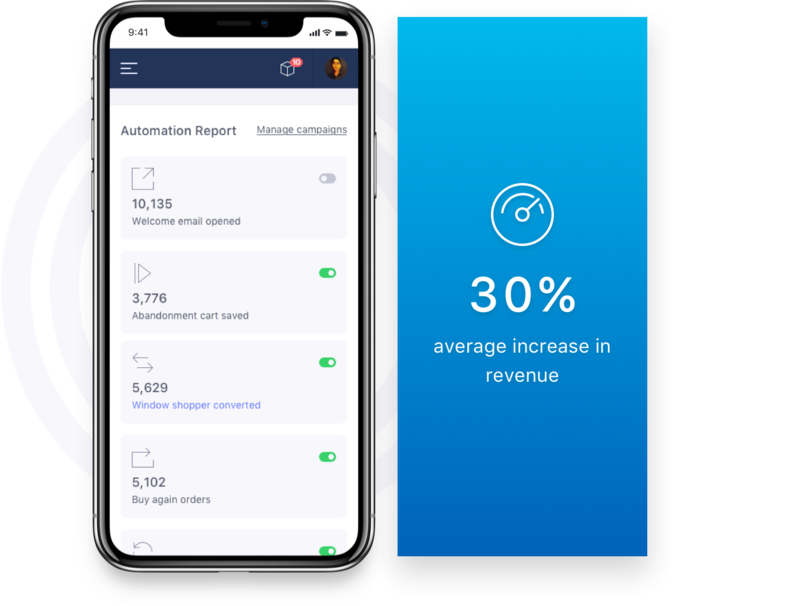 • Sales Nurturing: By analyzing customers' browsing and sales history, MailBot actively engages them with personalized & automated emails to nurture visitors who are interested in some products but not buying, recover abandoned carts, and bring back the lost revenue. • Sales Return: Bring back slipping-away customers with products they truly want. Sales Return automatically reminds and engages with customers who haven't come back for 30 days, to increase retention rate. • Buy again: Have some products that can be bought again in cycles, for example: skin care, baby products, etc.? This campaign is perfect for you! 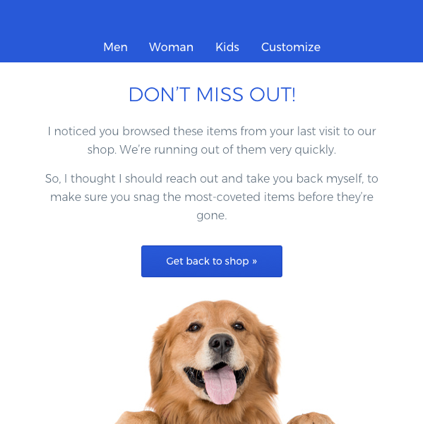 With your help to set up the cycle of a collection or a product, Newsletter Bot will compose emails to target customers who already bought that item, just in time they need to buy that product again. • Reward Coupon: Motivate customers who have had multiple purchases on your store to come back and buy more with a reward coupon. MailBot app gives you the insights you need to make right decisions. All campaigns’ results are reported in 1 dashboard for you to keep track of your KPIs and how we’re helping you to reach them. Within a few clicks, all powerful email campaigns are ready to run on your store, based on the big data and machine learning system from Mailbot app. 51% of customers are shopping on their mobile phones & tablets. 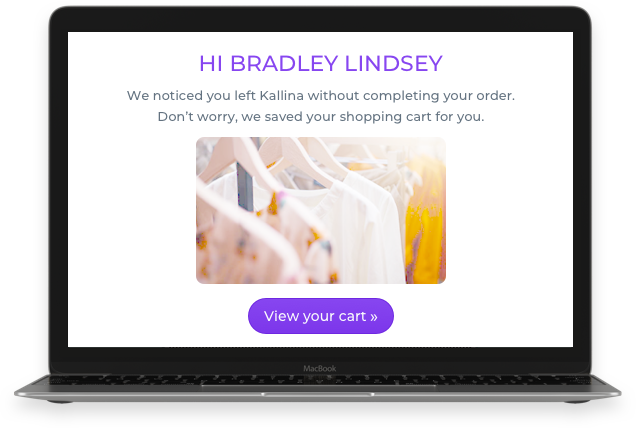 We've optimized all emails from Mailbot campaigns on both desktop and mobile devices to make sure your customers have the best shopping experience, and you'll have the best conversion rate. People want to connect with real people, that's why MailBot focuses on bringing the best personal experience to your customers. Every email content is taylored to be relevant to every single customer. 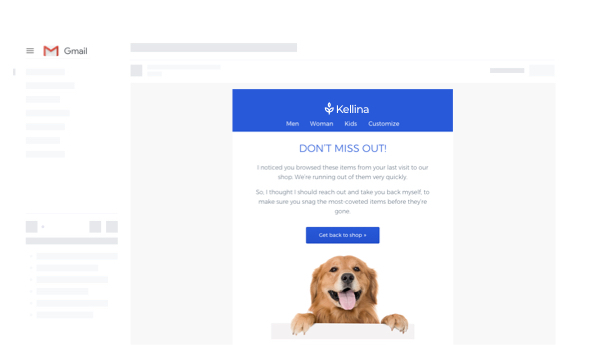 To help you track what types of emails work best and optimize them for better performance, we provide a detailed report on every single campaign. Everything is straight-forward, precise and easy to follow so you can take quick actions. "This app installed very easily and was pretty and required very little configuration from me. My first newsletter sent within minutes of installing the app. I have already noticed a customer response to the newsletters. This is a great time saver and I recommend it for all." "We have had a good experience with this app. The app is customizable and easy to set up. We have seen immediate conversion to sales and it is paying for itself." "Mailbot is a great app, easy to use and automates what is usually a big job. FAR more importantly the customer service from Beeketing is AMAZING! I feel like I have my own personal concierge who is there day or night to assist me and their developers are always on standby to step in if needed"